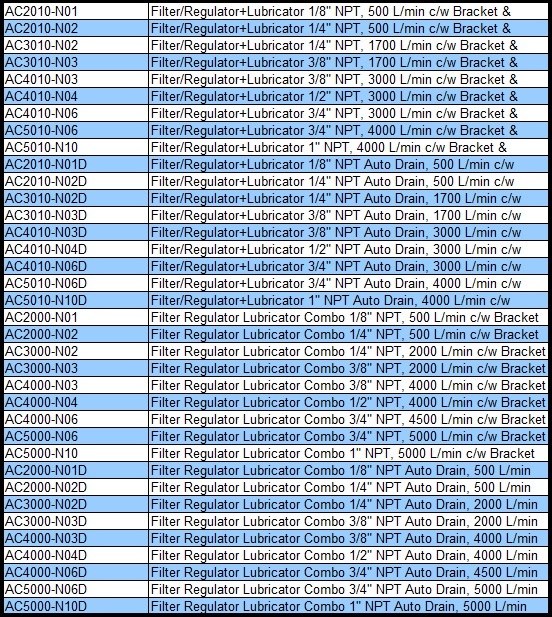 MettleAir® 2 piece filters, regulator, lubricators are designed for precision and reliability. Our FRL units are the best choice when it comes to protecting your pneumatic investments. Our full range of air pressure regulators are available in 160 PSI, 60 PSI and 30 PSI regulating ranges with corresponding high precision easy to read gauges and mounting options. The MettleAir® AW series filter regulator with automatic drain removes debirs, moisture, dirt, and other contaminants. It also allows you to dial in the right pressure for the job. In the final stage the MettleAir® AL series air lubricators are the perfect solution for controlling and maintaining a precise air to lubricant ratio, thanks to their easy to adjust dials and sight glasses. The unique modular design allows for easy upgrades and maintenance. This all in one solution is trusted by professionals worldwide.